Most players concentrate on hitting the ball well, but forget that the purpose of the game of golf is to ultimately attain the lowest possible score, not to show off perfect shots on every single stroke. In other words, depending on the course and the hole you are about to play, it is sometimes safer (and wiser) to play for a bogey than trying to go for a one in a million shot. This ability to always play the right shot at the right time is what makes a successful golfer. Very closely linked is the concept of position golf. Playing position golf could be defined as striving to land your golf ball in the best position for the next shot rather than trying to achieve a technical prowess on your current shot. Whatever his level in golf, a golfer will always benefit from playing position golf rather than trying to show off their best golf skills on every shot. Therefore, the ability to wisely evaluate the course, the conditions, and the shot is vitally important in order to make the right decision and lower your score. After hitting the first plateau, that separates complete beginners from more advanced players, course management is the part of the game you should study next. Course management will help you to handle serious lies and situations on the course; cope with poor weather conditions; evaluate risks and rewards, then make the right decision; curve the ball and manage trajectory when you need to. It will help you to position the ball in a spot to make the next shot easier (position golf). 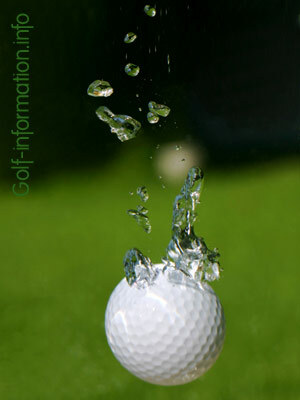 It will show you, for example, that in handling a pond, stream or bunker it may be wiser NOT to get as close to the hazard with your layup shot, but that you may rather choose to play up short or to the side in order to facilitate your next shot. Or that you should always aim to leave yourself an uphill putt, because making uphill putts is easier than downhill putts. Indeed, players instinctively have a tendency to decelerate through the ball, fearing it will otherwise finish well pass the hole, so trying to leave your approach shot to the green under the hole, thus leaving yourself an uphill putt may be a safer choice. Automatically taking out your driver at the tee because that’s what you’re expected to do, may not necessarily be the best choice, especially if it puts you in a blind position for your next shot. If you have more control with a 2 or 3 wood than with a driver, then, depending on your evaluation of the golf course, it may at times be a better choice to switch clubs in order to position your ball more securely for the next shot. Teeing off in order to get your ball the furthest is not necessarily the best strategy. Calculate upfront where you’d like the ball to land so that you can play your favorable club from that position on the fairway. Depending on the distance you may again choose a 2 or 3 wood over your driver. As we already mentioned, uphill putts are easier than downhill putts, because players instinctively have a tendency to decelerate through the ball, fearing it will otherwise finish well pass the hole. So, leaving yourself an uphill putt may be a safer choice. When handling a pond, stream or bunker, manage trajectory when you need to. Always play an obstacle with the next shot in mind, leaving the ball in a safe position for your next shot, even if that means an extra shot, rather than going for a seemingly perfect shot that may put you in a blind or unsafe position for your next shot and ultimately cost you more shots. 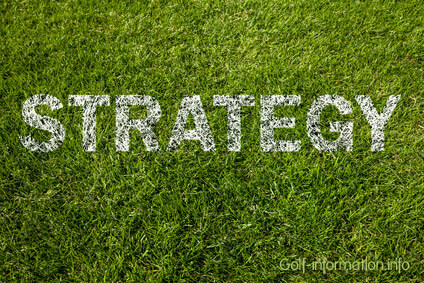 Remember that course management starts even before you tee off on the first hole. Indeed, as a player you should have not only a plan for each and every shot, but you should also always have a plan for the round you are going to play. So, to successfully implement the previous four points do your homework and study the course map the night before, clearly defining the game strategy and stick to it! As a next, more advanced step, some players also use books about Golf Course Architecture to gain a better understanding about course management and how the golf course “reacts”. Architecture is important because it is what makes the player stop and scratch his head on the course. Similarly to how a tennis player would take into account how the ball reacts on clay vs concrete vs grass, golf architecture can teach you a lot on how to play the various parts and variations of a golf course. See below for a selection of golf course management and golf course architecture books. Presents a concise, simple program to the fundamentals of a sound, smart game. Explores the intricacies of golf architecture-and how this knowledge can improve your golf game. 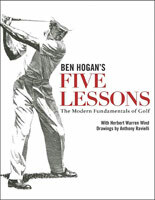 Explains the fundamentals of golf course design in an understandable and entertaining style. Aimed more towards the golfer rather than the aspiring architect.